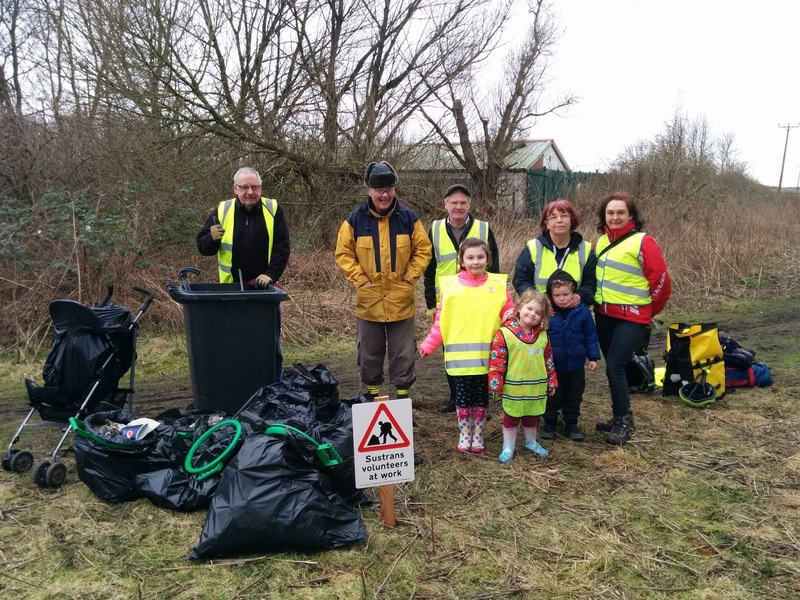 Merseyside North Volunteers: Sunday Morning Spring Clean Litter Pick! Can you spare half an hour, an hour or maybe two this Sunday morning (6th May 2018)? 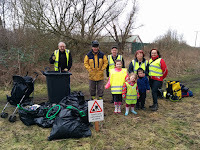 The Volunteers of Sustrans and the Trans Pennine Trail are having a Spring Clean litter pick at the Meadow area in Maghull, Sefton (Link to the location map https://goo.gl/maps/DU1Ckib5BvR2). 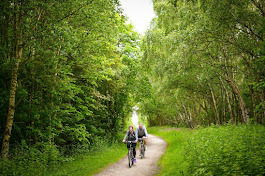 The Meadow area forms part of the Cheshire Lines cycle, walking and horse riding route (NCN 62 and Trans Pennine Trail). Volunteers over the last few years have cleared overgrowth, installed benches and planted wildflowers gradually creating a habitat for wildlife and a welcome space for the community and Trail users that use this resource (Please see the video below and previous posts on this blog site). Unfortunately, despite the signage, this area is seen by some as a wasteland area and is often misused as a place to discard litter, allow dog fouling and occasional A.S.B. Now that Spring is here (YAY Finally! ), the plants have begun to grow back. 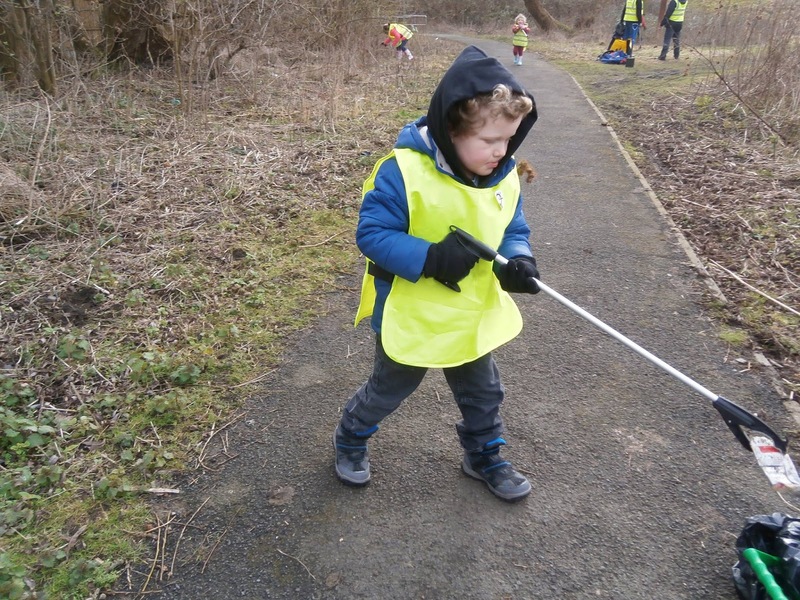 This often covers the litter that has been discarded and can be detrimental to the bugs and wildlife that exist in the area. It takes a lot of volunteer effort to maintain this area of land and we would greatly appreciate any help that can be offered to clear some of this litter. If you can spare half an hour or so, it would be great to see you! 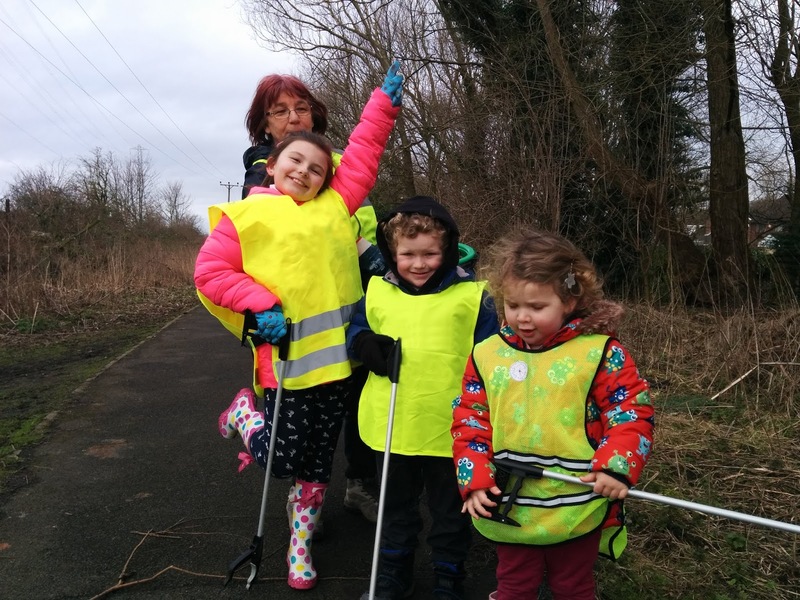 Litter pickers and bin bags are provided. We are are able to provide some protective gloves, but if you have your own, please bring along with you. You won't be asked to clear dog fouling, just let us know and we will sort that! We recommend wearing sturdy footwear /or wellies and long trousers. Sefton Meadows Garden Centre and Cafe are next door/short walk to us for refreshments. If you are able to make it (so I can account for numbers), perhaps you could send me a quick message? Many thanks for your interest and hopefully see you on Sunday! Here's an idea ... The Lydiate Village festival (http://lydiatevillagefestival.co.uk/) is taking place a not too far away and starts at 1pm. 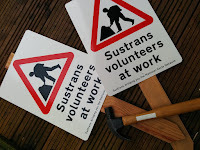 Perhaps you could combine a litter pick and gentle walk along the Cheshire Lines followed by a visit to the festival?